Stick throwing games were among the most popular entertainments at English fairs and racecourses throughout the 19th century and three were dominant. The origins and stories of these games are detailed in print for the first time. Victorian Aunt Sally burst upon Britain in 1858 due to a noble misadventure. It became a true national craze that soon spread to America before becoming extinct and forgotten on both sides of the Atlantic. 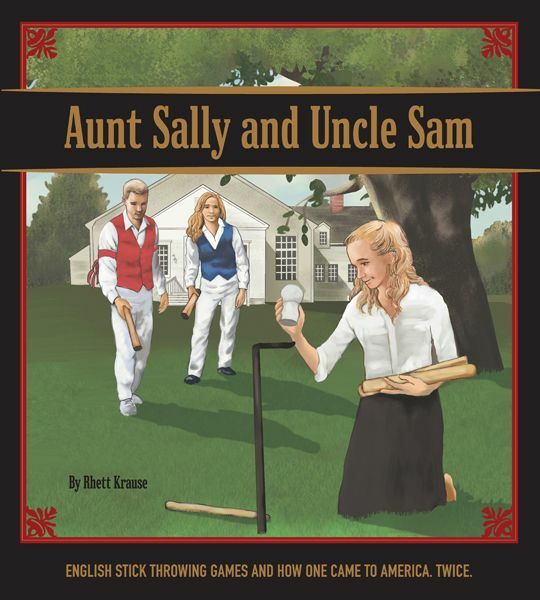 Aunt Sally was reborn in a modern version in the early 20th century and thrives today as a regional treasure of Oxfordshire pubs. It would come to America again in the 1980s due to its association with an ancient dance.